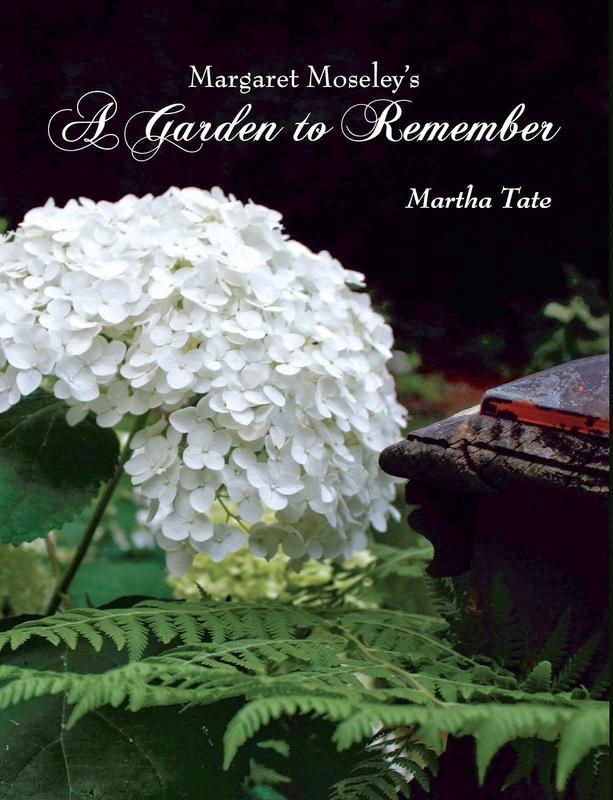 Back in June, I wrote of my concerns about the hydrangea my mother had at the farm. To review, it was moved here a couple of winters ago in a giant black plastic container, where it lived for two years. The first season it bloomed, I was delighted. The flowers were purple - not the deep, rich hue they had been in the ground at her house, but a lovely grape-y sort of color. I was thrilled and determined to keep the plant in the container and just have a box built around it. However, the next June I was horrified at the Pepto-Bismol pink of the flowers and knew I had to get the roots into the ground. It wasn't until this past April that some workers came and dug a huge hole across from the new arch garden and put the plant into the ground along with a boxwood (just about everything looks better next to a boxwood, I think). I was fortunate that I had been able to put the hydrangea under the back terrace to protect it from the cold winter. Thus, neither the blooms nor the foliage was hurt. Even though there wasn't much time for the color to change, the flowers did turn a rosy color that was very showy - deeper than the frightening chalk pink of the year before - but still nothing you'd pick out in a nursery. However, the blooms were enormous. This hydrangea was in full, blasting sun at the farm. Even though it was tucked into a corner, it lived next to white brick wall with the afternoon western sun bearing down. The blooms were a spectacular, deep glowing purple at first but crisped up and turned brown as the summer progressed. So, when the big, rosy flowers began to change color here, I was thrilled. Instead of drying up to the point where you'd have to cut them off, the blooms began to fade to the approximate colors you see above. Last week, I could stand it no longer. I didn't want to take the chance that they'd turn brown, so I cut a bouquet to bring inside, in hopes that the faded flowers would dry and maintain the muted shades of green and mauve. I took dozens of photographs in all parts of the house, trying to catch the exact colors of the freshly-cut flowers. The picture above doesn't do them justice, but you can get an idea of how the blooms had turned. To my mind, they had taken on a new life they'd never had before when they were fried so quickly by the sun. Elizabeth Dean of Hydrangea.com and Wilkerson Mill Gardens, a specialty nursery not that far from the farm, wrote to say that she thinks that the hydrangea will be well on its way to turning purple by next year. If I get those big blooms again in a dark, rich color, I will have hit the jackpot. In addition, up here where there's protection from the afternoon sun, I think the blooms from June will be a different, but lovely shade in August. This is just a bonus to having my mother's beloved hydrangea take on a prolonged life in a satisfying new later-in-the-summer color - something that never happened before. Note: A word of explanation about the background. The flowers are sitting atop an antique buffet I bought at a sidewalk market in the Loire. It cost me more to get it home than the piece cost itself. Still, it was a good buy; however, I held my breath until it arrived eight months later, as I didn't know if I would ever see the buffet again. Next to the silver wine cooler holding the flowers are some of my late husband's collection of antique decoys. On the wall is a painting by Walter Biggs, who was once the roommate of George Wesley Bellows and a close friend of N. C. Wyeth. My mother-in-law commissioned the work - a woodsy, impressionistic hunting scene - for my husband's graduation from law school. The hunter originally in the scene is no longer there. Apparently, Mr. Biggs wasn't satisfied with it and took a knife and scraped across him. Before the artist could finish the work, he died, and my mother-in-law retrieved the painting from an easel in his studio.